The Every Man Remembered statue was unveiled in Cardiff city centre in April 2015 and promotes the Royal British Legion’s campaign which urges the public to pay personal tributes to the 1.1million Commonwealth servicemen and women who died during the 1914 to 1918 conflict. 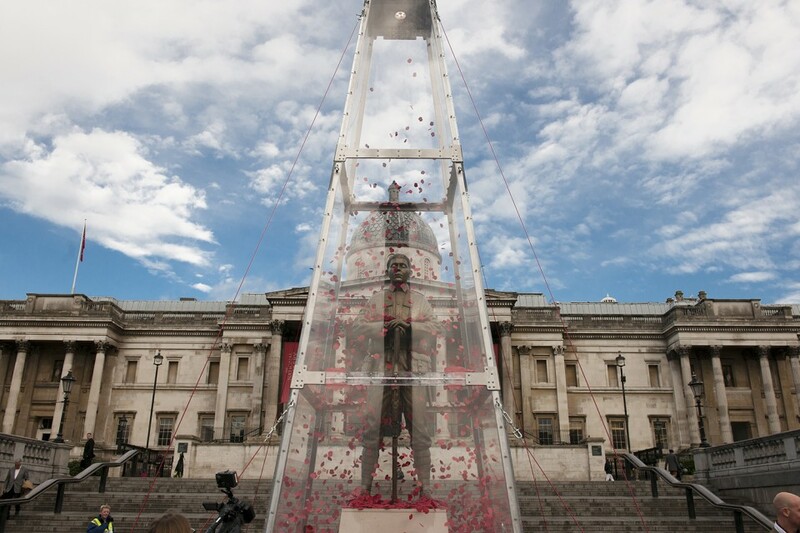 The special structure has already made appearances in Edinburgh and London’s Trafalgar Square. The statue will display in Blackburn in front of the town hall, from June 27 to July 11, coinciding with the Somme Commemoration period. It is a great honour to welcome this sculpture to the borough. It is a vital reminder of the great sacrifices made by servicemen and women in this war and all conflicts, and makes sure we remember them. The striking structure is based on the Unknown Soldier and stands on a block of limestone from the Somme area of France, where the bloodiest battle of the Great War saw almost 800,000 Allied combatants lose their lives. This included 235 from the 724-strong 11th Battalion of the East Lancs Regiment, better known as the Accrington Pals, with a further 350 seriously injured. In the years which mark the Centenary of the conflict which gave birth to the poppy as a symbol of Remembrance and hope, the Legion’s role remains as contemporary and as vital as it has ever been, upholding the memory of the fallen and supporting the future of the living. To mark the occasion of the unveiling of the sculpture the band of The King’s Division will play a selection of WW1 favourites at a free lunchtime concert in the Square at 1pm. For more information on the Royal British Legion’s Every Man Remembered campaign, visit www.everymanremembered.org.